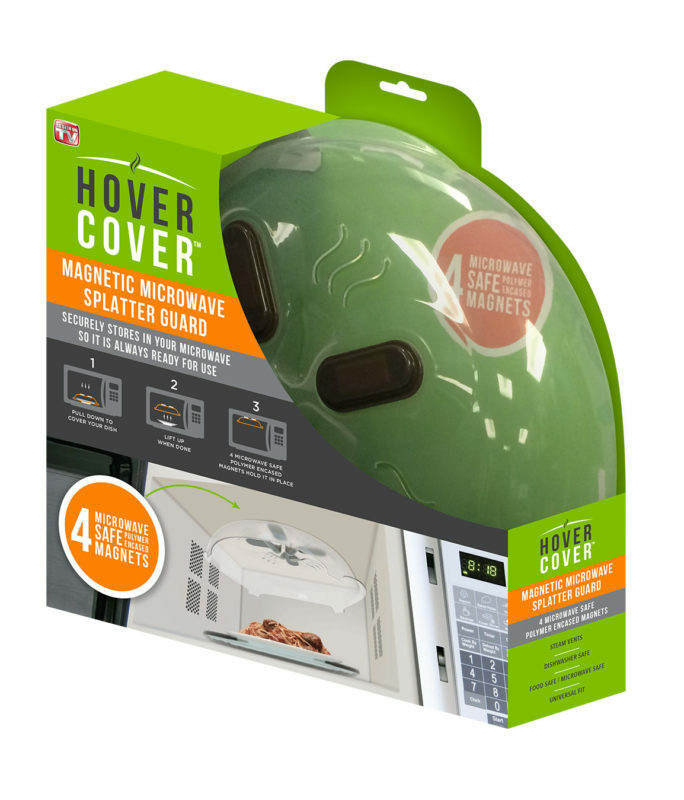 Hover Cover™ Microwave Splatter Cover is the new microwave splatter guard that uses microwave-safe, polymer-encased magnets that secure to the roof of your microwave, so it is always ready to use. Keep your microwave clean; Just pull down to cover and when you’re done, lift and let it hover! Steam vents prevent food from getting soggy. Fits over most dishes. Best of all its BPA-free, food safe, and top rack dishwasher safe.